Send a generous collection of California Wine Country favorites. Three fabulous wines – a chardonnay, a merlot and a cabernet sauvignon from the Golden State are surrounded by enticing treats. 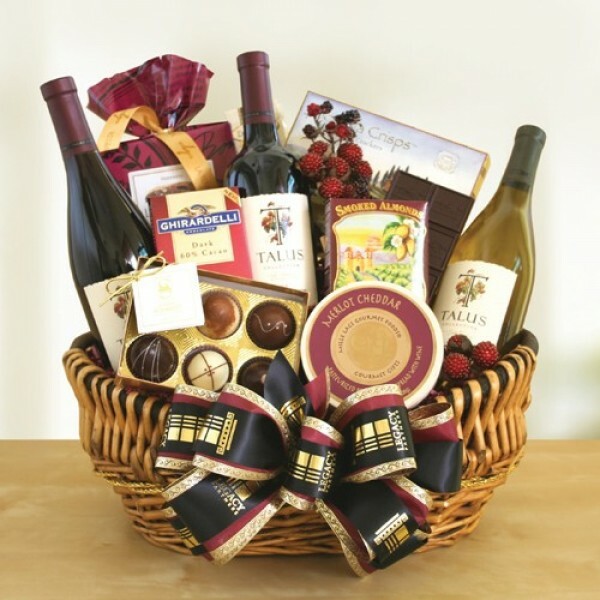 This tempting basket includes: cheese, focaccia crisps, a Ghirardelli chocolate bar, biscotti, smoked almonds and chocolate truffles, all delightfully matched with these wines to create an authentic California appeal!